What Is a Good SAT Subject Test Score? What's a good Subject Test score? This might sound like a straightforward question, but it's actually a little more complicated. What makes a good score varies by SAT Subject Test as the number of test takers differs from test to test. For instance, in 2017 more than 140,000 students took the Math Level II Test, more than 48,000 students took the Literature Test, and only 453 took the Modern Hebrew Test. As you'll see below, most good scores for SAT Subject Tests are in the 700s, but there are other factors to consider as you set your target scores. Let's take a look at the average scores and percentiles so you can know what a good score is for each individual SAT Subject Test. While we'll be looking at statistics and college requirements to answer this question, it's also important you learn to define what "good" means to you. Ultimately, with effort and preparation, you should be proud of the Subject Test scores you achieve! What Are the Average SAT Subject Test Scores? Good SAT Subject Test scores tend to be a fair deal higher than good scores on the general SAT since high academic achievers tend to take the Subject Tests. The following chart shows the 2018 averages for each SAT Subject Test. For a full breakdown of what these average scores mean, check out this article. See how the average score for Korean with Listening is an incredibly high 761? The average for Math Level I looks like a more reasonable 605. So a "good" score would be higher than average, maybe even in the top 25% of test takers, or top 5% if you're shooting for the Ivy League. Based on these averages, a score of 700 could mean completely different things depending on the test. It would be a strong score on the Literature test but only slightly above average on Math Level II. And on the Korean with Listening test, a 700 would be way below average. Now that you have a sense of the average scores for each test and why they matter for your percentile, let's look at the most recent score percentiles. What Are the SAT Subject Test Score Percentiles? Along with getting a score somewhere between 200 and 800, you also get a score percentile, which compares you with other students who took the test. Scoring in the 80th percentile, for example, means you scored higher than 80% of students. The charts below show how scores translated to percentiles for test takers in 2018. All information is taken from the College Board. As you can see, there's a lot of variation in percentiles among SAT Subject Tests. That's what makes answering the question of what's a good SAT Subject Test score a bit more complicated. Some tests are considered easier than others, and percentiles can be more competitive depending on the population of test takers. Based on this data, here are my suggestions for good and excellent scores for each test. These are the scores you should aim for if you want to achieve the 70th percentile or above, 80th percentile or above, or 90th percentile or above. Some tests, such as Math Level II, Chemistry, Physics, Chinese with Listening, French, French with Listening, Italian, Japanese with Listening, Korean with Listening, and Modern Hebrew, require near-perfect scores to get a high percentile! Don't feel overwhelmed by this, though. A lot of these tests have high averages and low standard deviations, meaning that most well-prepared students are able to get a high score near or above the average. If these subjects are your strong suit, then you are statistically likely to be able to achieve a very high score. On the flip side, if you're not so strong in math, chemistry, physics, or these other subjects, keep in mind that the grading curve is very competitive—you'll be competing with students likely bound for top engineering and technical schools, such as Caltech and MIT (or native speakers for any of the language tests). Reflect on your academic strengths and subject mastery to determine whether one of these tests is right for you. As I mentioned earlier, good SAT Subject Test scores are higher than good scores on the general SAT. As you can see, to score in the 70th percentile or higher, you'll have to get in the 700s for almost all subject tests. There is one more consideration when determining good scores on the SAT Subject Tests: the colleges you're applying to. Your percentiles are comparing you with all students who took the test—but not all of these students are applying to the same colleges as you. Therefore, it's helpful to get a sense of what the average Subject Test scores are for your colleges specifically. What scores do they expect to see? Do admitted students usually score in the low 700s or high 700s? Will the school overlook a low percentile on a Subject Test if it knows the curve for that test was particularly competitive? Let's consider these questions a little more in-depth. 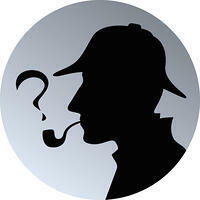 Uncovering your college's requirements might take a bit of detective work. What SAT Subject Test Scores Do Your Colleges Want? As with all the other parts of your application, you want to know what your colleges are looking for. What SAT scores do you need? What do they consider a strong GPA? Unfortunately, colleges can be pretty evasive when it comes to giving you answers to these types of questions. Instead, they stress that it's a holistic process and that admissions officers are looking at all elements of your application to get a sense of who you are as a person. While this is all well and good and you wouldn't want your candidacy to be boiled down only to facts and figures, it still leaves you a bit stuck when it comes to the SAT and SAT Subject Tests. The first step you can take is to research the admissions websites of your colleges. Simply Google the name of the college along with "SAT Subject Tests" or "average SAT Subject Test scores" and you might find exactly what you're looking for. If this is a dead end, you could try calling admissions officers and asking if they will share this data (or at least their recommendations). If you're concerned about bothering them, don't be! Lots of admissions officers have tons of valuable information and are happy to share. Plus, demonstrating that you have a vested interest in the college—for example, by speaking with people on campus, visiting the school, or even just putting your name on mailing lists—will further strengthen your application. With the college process, there's nothing helpful about playing hard to get. Put yourself out there! If your sights are set on the Ivy League, check out our article on the Subject Test scores and requirements for the Ivy League. Finally, let's step outside statistics and requirements and consider your own personal goals. Did you celebrate 3/14 this year? Show off your affinity for math by scoring high on the Math Subject Test. What are your personal goals for the SAT Subject Tests? 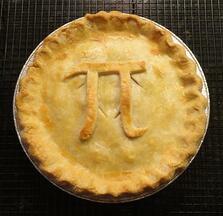 Have you memorized the first 100 digits of pi, or are you always the one who calculates the tip at dinner? 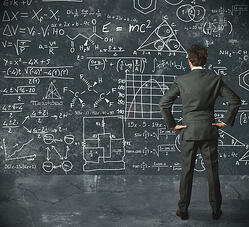 If you consider yourself a math whiz, then it might be very important for you to score highly on the Math Subject Test. When I was in high school, I absolutely loved English class. Reading and analyzing books revealed new ways of thinking about the world and human relationships. Even when it was hard work, it was work I wanted to do. This doesn't mean I was naturally able to score a perfect score on the Literature Subject Test, though. That test used a much different way of demonstrating subject mastery than my normal classwork did, especially considering its strict time limits. But I felt driven to score well, so I studied practice questions and trained myself to read passages and answer questions under tight time limits. By reflecting on your strengths and interests, as well as by taking practice tests and scoring them yourself, you can develop your own sense of what a good Subject Test score is for you. Once you've set your target scores, tape them to your wall so you can see them every day. Sharing your goals with friends, study buddies, or family members is another good way to stay focused. Once you've set your goals based on this information and your colleges' expectations, you can start preparing for the SAT Subject Tests you've chosen. The College Board offers a helpful breakdown of each Subject Test in addition to practice questions. You can also check out our other resources below to answer any other questions you have about the Subject Tests or SAT. You know what makes for good scores on the SAT Subject Tests, but have you decided which ones you're going to take? Check out our expert guide on which Subject Tests you should take. Are you also studying for the SAT? Just as with the Subject Tests, you'll want to set score goals for yourself and work toward achieving them. Read here about good scores, bad scores, and excellent scores on the SAT. If you're considering the ACT instead, this article breaks down the scoring system and helps you set your target ACT scores. 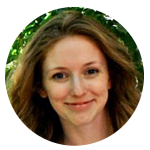 Need a little extra help prepping for your Subject Tests? We have the industry's leading SAT Subject Test prep programs (for all non-language Subject Tests). Built by Harvard grads and SAT Subject Test full or 99th %ile scorers, the program learns your strengths and weaknesses through advanced statistics, then customizes your prep program to you so that you get the most effective prep possible.